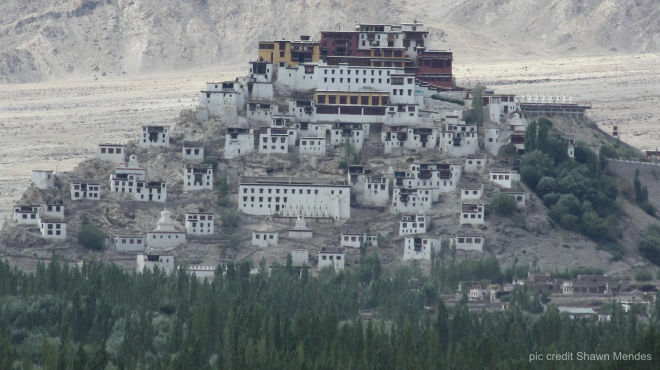 Chemrey Gompa (45 km) : This is a large monastery, whose many structures seem to tumble down a hill into fields of barley and mustard in the valley below. Bright yellow fields set against the austere red and white of the gompa make for a stunning contrast. Built in 1645, upon the death of King Sengge Namgyal, Chemrey belongs to the Red Hat sect. it is very pretty and its timeless quality has an alluring effect on visitors.